The car parking areas for the Port of Catania are located in the Sporgente Centrale area and near the New Port, but you will only be able to access these if you have an embarkation ticket. As way of responding to the continual demand for low cost parking closer to the port, ParkVia offers parking which is a convenient and secure alternative. Transfers to the embarkation quay are free whether for cruise or ferry passengers. Booking makes the transfers efficient and keeps the process time for dropping off your vehicle at the car park to a minimum. The port of Catania is not a natural port but is located right in the city centre close to the main monuments and only a few kilometres from Catania-Fontanarossa airport. The car park operator we list as a car park for the Port of Catania also serves the airport. The port of Catania receives both passenger and commercial traffic and has become a very busy stop off for Mediterranean cruise liners. 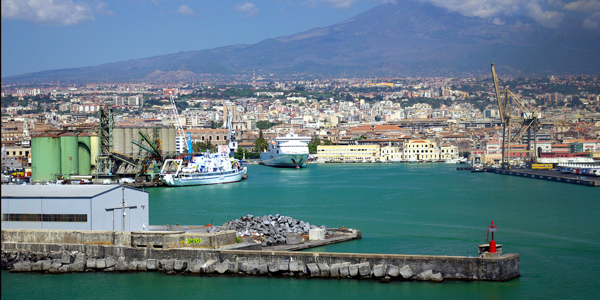 Catania has routes to Naples, Civitavecchia, Genoa, Malta and other Sicilian ports. Catania is also a port of call for Mediterranean cruise ships such as those of MSC Cruises or Costa Cruises.